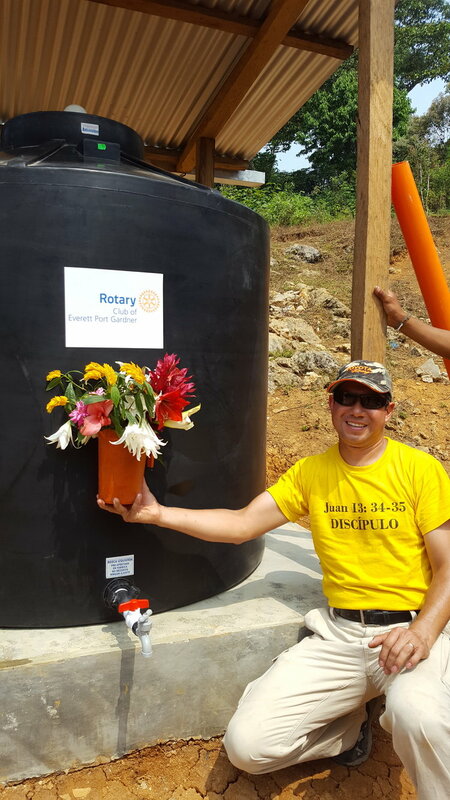 The Everett Port Gardner Rotary teamed with the Barillas Rotary to write a grant for the purpose of replacing the homemade water storage with a permanent water system that will last for years to come. Both Rotary clubs worked with Rotary International to fund the project. Everett Port Gardner Rotary wrote the grant, and Barillas Rotary agreed to manage the funds from Rotary International. While back in Barillas, the team visited the local hospital where they provided quilts made by the women of Faith Lutheran Church of Everett, WA. 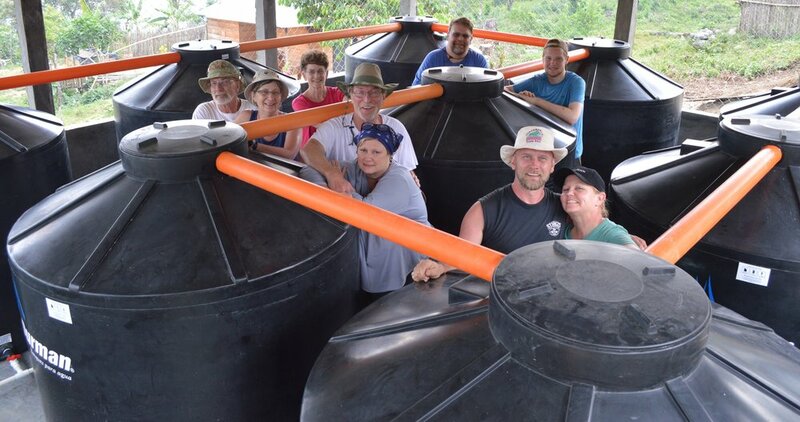 Team from the Marysville & South Everett-Mukilteo Rotaries Built Two New Schools for the Villages of Nuevo Sija and Sinlac, and Installed Aler Stoves in Esperanza Frontera. With the Financial Support of the Mt. Vernon Rotary, a team of seasoned veterans and some new comers from the Marysville and South Everett-Mukilteo Rotaries built a two room schoolhouse for the children in the village of Nuevo Sija, and then turned their attention to building another two room school in the village of Sinlac. 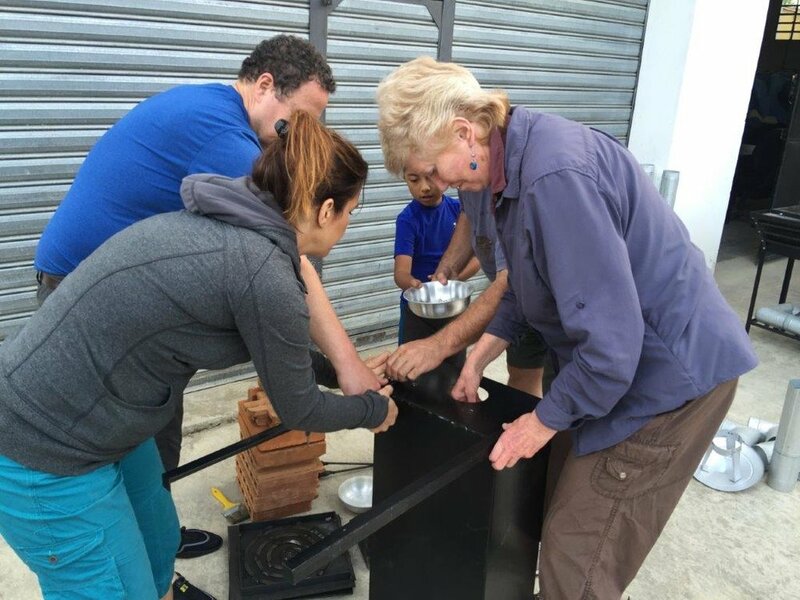 They then turned their attention to installing 40 high efficiency Aler stoves in the village of Esperanza Frontera. The stoves were funded by a grant from the Rotary District 5050. It was quite a feat to accomplish so much in a short amount of time, but the team is made up of members who have been coming to Guatemala and building schools for villages for many years.